Geoffrey Aloysius, the Chairman of Perpetual Treasuries Limited (PTL) and father of PTL owner Arjun Aloysius, has been arrested by the Criminal Investigation Department (CID) over the bond scam. Meanwhile, the CID had arrested Former Deputy Governor of Central Bank P. Samarasiri and three Directors of Perpetual Treasuries Limited (PTL) this morning (25). 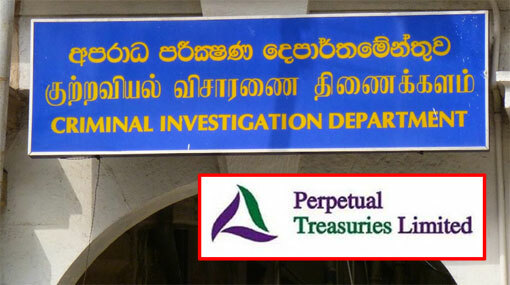 The three Directors of Perpetual Treasuries Limited who were arrested by the CID are namely, Pushpamithra Gunawardena, Chithra Ranjan Hulugalla and Muthuraja Surendran.